The European Skills week 2018 contained some extra suspense in Business College Helsinki, as the project EBBD+ was nominated as a finalist in the contest Awards for VET Excellence. The European Skills week, and especially the awards highlight good practices and recognise excellence in vocational education and training (VET) all over Europe. This year the highlight of European Vocational Skills Week, the awards ceremony took place during the closing event on 9 November 2018, in Vienna. Business College Helsinki’s teacher Kaisu Luukka, and the coordinator of international affairs, Marja Saarela were invited by the European Commision to participate in the awards ceremony to represent the project EBBD+. Ms Luukka and Ms Saarela coordinated the three-year project that had partners over Europe: University of Worcester in the United Kingdom, Summa College in the Netherlands, Berufsbildende Schule Wirtschaft 1 Ludwigshafen and Rudolf Rempel Berufskolleg in Germany, Aalborgs Handellskole in Denmark, The European Forum of Technical and Vocational Education and Training EfVET, and the association European Business Baccalaureate Diploma, EBBD e.V..
EBBD+ was nominated in the category of Erasmus+ projects, under the umbrella of European funding for excellence, from among over 600 other Erasmus+ projects. EBBD+ was built on a previous collaboration that had developed the European Business Baccalaureate Diploma, a justification of excellence in the field of business studies. 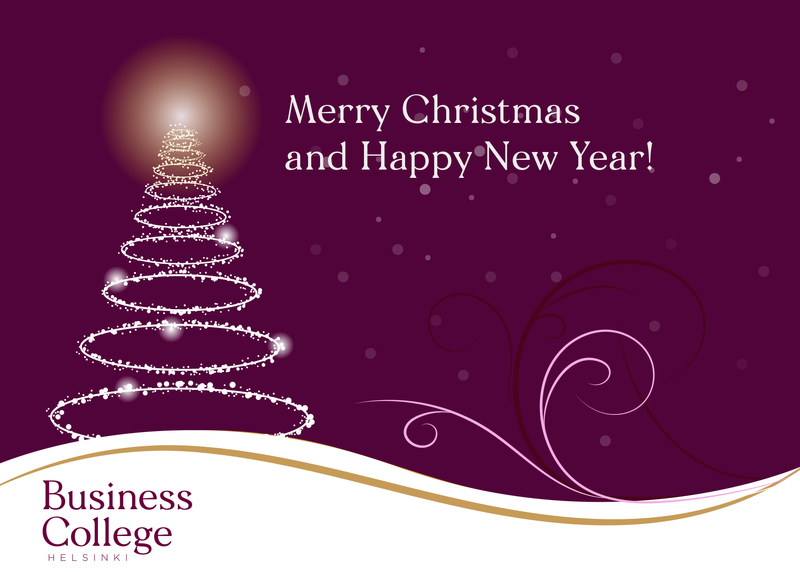 The diploma is currently available in accredited schools across seven European countries, and the association EBBD e.V. accepts new applications. In the awards ceremony the winners were announced by Marianne Thyssen, European Commissioner for Employment, Social Affairs, Skills and Labour Mobility. 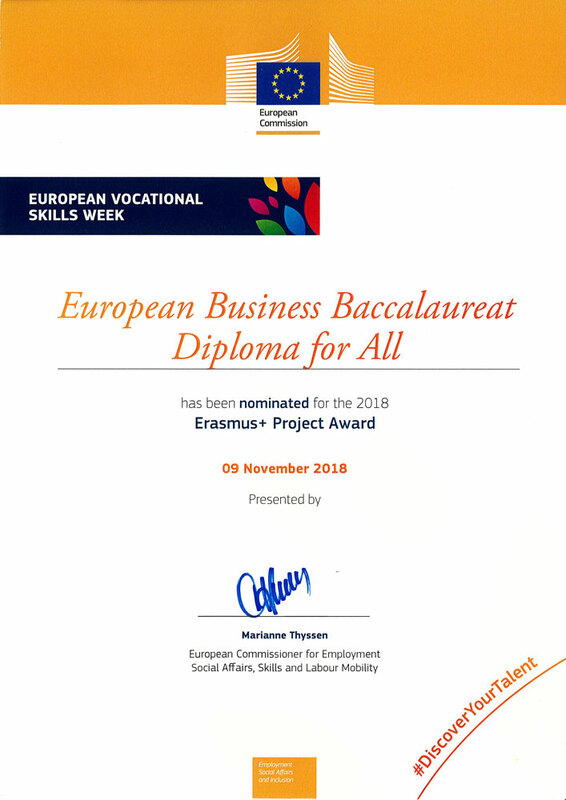 While EBBD+ was left second in their category, Commissionner Thyssen declared all nominees as winners of Vocational Education. Ms Luukka states that the success of the project lies in the collaboration and commitment of all the project partners. “The European Business Baccalaureate Diploma directly addresses all the challenges in vocational education and training named in the Vienna conference: soft skills needed in the labour market, international skills, and raising the attractiveness of VET”, Luukka concludes.